Ride and Read! NEWS by Madness Photography - Onno "Berserk" Wieringa: H-D Sponsors Biker Belles at Sturgis Motorcycle Rally. H-D Sponsors Biker Belles at Sturgis Motorcycle Rally. Harley-Davidson Motor Company Sponsors The Biker Belles™ Charity Event and Ride During the Sturgis Motorcycle Rally. 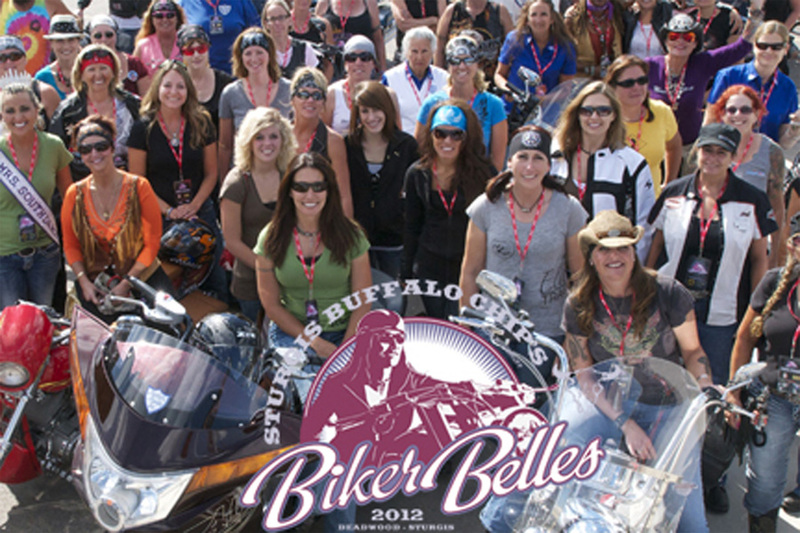 Sturgis, SD – The Sturgis Buffalo Chip® welcomes Harley-Davison Motor Company as the title sponsor of their Biker Belles™ event and ride. The Biker Belles is an annual event celebrating the passion, diversity and spirit of women in motorcycling held on Wednesday, August 8, 2012 during the Sturgis Motorcycle Rally. 100% of Biker Belles rider contributions go to benefit two South Dakota Charities, Helping with Horsepower® and Sturgis Motorcycle Museum & Hall of Fame. Tickets for the Biker Belles celebration can be purchased now at www.BikerBelles.com. Harley-Davidson will engage Biker Belles participants with multiple brand activities beginning at the event starting point in the historic town of Deadwood, South Dakota. Among on-site activities, participants will enjoy a symposium paneled by industry leading women. Riders will then enjoy a group caravan on their bikes through the beautiful canyons of the Black Hills. The Biker Belles ride concludes at the Sturgis Buffalo Chip® with a reception, hors d’ oeuvres , entertainment, live and silent auction along with a biker fashion show featuring Harley-Davidson® MotorClothes® apparel/riding gear. Topping off the Biker Belles celebration will be a world class concert in the famous Buffalo Chip amphitheater by superstar Eric Church as part of the 2012 Sturgis Concert lineup. A ticket to the Biker Belles™ event is your admission pass for a full day and night of fun and entertainment at the Buffalo Chip Campground. 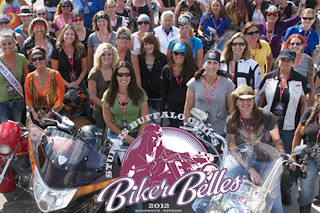 Tickets for the 2012 Biker Belles celebration are available at www.BikerBelles.com or by calling (605) 347-9000. The ticket contribution for the Biker Belles celebration is $150 per person with 100% going directly to the chosen charities. More Sturgis Buffalo Chip camping, concert and events information can be found on www.BuffaloChip.com. Sturgis Buffalo Chip 2012 will take place August 3 – August 11. In 2012, The Largest Music Festival in Motorcycling™ and the Sturgis Rally’s cornerstone event will celebrate its 31st consecutive annual concert series. Since 1982, the Sturgis Buffalo Chip has provided unforgettable live music experiences for fans from around the world. The Sturgis Buffalo Chip attracts the music industry's hottest stars, emerging talent and local favorites, and hosts a diverse selection of food and beverage vendors and interactive exhibits. Set on 560 acres, three miles outside of Sturgis, the Buffalo Chip is a festival experience like no other. More details are available at www.BuffaloChip.com. Labels: H-D Sponsors Biker Belles at Sturgis Motorcycle Rally.